Masteron 100 – the active substance contained in this steroid is Drostanolone Propionate. It is thanks to it, it has a high adrogenic capacity and moderate anabolic effect. Masteron was developed as a derivative of dihydrosterosterone, therefore it is very close to this natural hormone. Produced in injection form. Masteron 100 is indispensable for professional bodybuilders, as it allows you to save the gained mass and strength indicators at the cutting stage. In addition, it has a fat burning effect: in one cycle, you can achieve a reduction in fatty layer by 5-7%. On a functional basis, Masteron 100 is well known as one of the anabolic steroids with strong anti-estrogenic properties. This steroid not only does not have estrogenic activity, but can actually act as an antiestrogen in the body. The maximum expressive vascularity of muscles is another plus of this drug. In addition, Masteron 100 has an anti-catabolic effect, which prevents the phenomenon of muscle loss after cycle. Not surprisingly, Masteron 100 is so popular in the modern market. 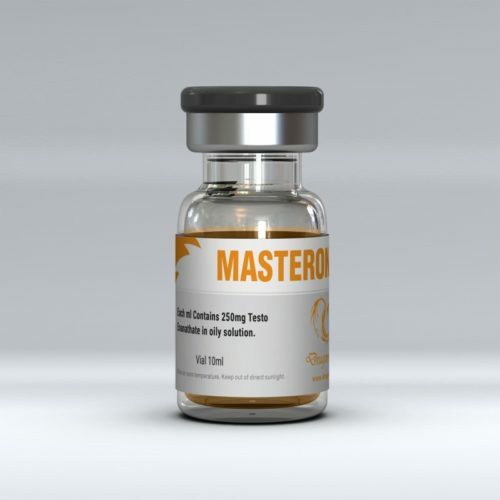 The standard dose of Masteron 100 for adult men usually falls in the range of 300-400 mg per week. Usually it is 100 mg every other day for 6-8 weeks. You can take it not only separately, but also in combination with other drugs, for example, Stanozolol (Winstrol). In doing so, you will get better quality muscles, with a pronounced relief. The duration of the cycle is calculated based on individual characteristics, and is 6-12 weeks. With prolonged admission, Gonadotropin (Fertigyn) is recommended. After finishing the cycle, the first three days take Clomiphene (Clomid) at a dose of 50 mg per day, to restore your own Testosterone.